Our park is family owned & operated. Browse our antique & collectible store onsite. 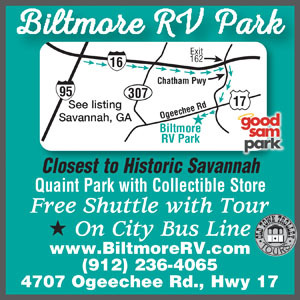 Trolley tours are available from campground & we are on city bus line. Give us a call to make your reservation today. The staff was nice and helpful with the area and getting a tour for us. The park was quiet except for 1 night because of neighbors leaving their dogs outside and not cleaning up and kids running around late. The "issue" went away the next day. If pet owners were "good" pet owners they would not leave pets outside and not clean up after them. There are out pet owners in park and no problem. Mgt was on top of it! Thanks! We are on the road working 10 months out of the year. All the places we have stayed we have never meet a owner like this before. This female owner was the meanest, rudest person we have ever meet. She even upset my husband and that is really hard to do. The place is old, no amenities, parked on grass, couldn't even open our awning we were packed so close. Avoid this place at all cost. Nice park with level sites. The staff were very friendly and accommodating. We enjoyed our stay. It was a little noisy being so close to the road but the staff went out of their way to make our stay comfortable. We were not able to use this parks utilities. Sewer lines were too far from our connections. After booking a 2 day stay they would not refund our money. Manager should be more open to travelers needs, and more considerate. The park is close to the road therefore very noisey. 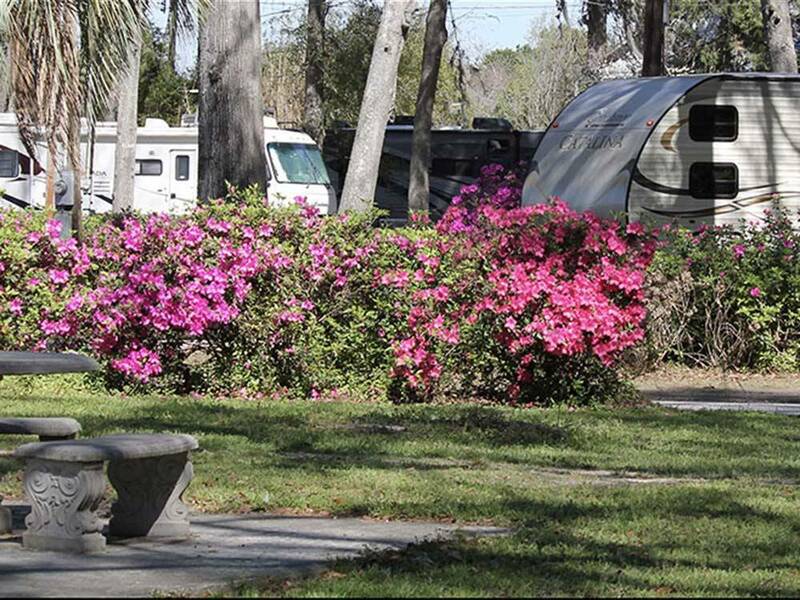 If you only need a place to park your Rv for a night or two it's okay but they are pricey. Again the only amenities are full hookups. You will need long hoses for sewer and water as some sites are not convenient to the source. We had to use two water hoses and 3 sewer to reach. Do research the area before planning your stay. Nothing to do there nor any safe walking or biking areas. Kids get extremely bored. Basic park, clean, people helpful. No amenities. Good park for adults. We part time ( work camp )here at the Biltmore for the last 10 months. Have found it to be a shady, safe and very friendly place. The owners are very nice and helpful. I've spoke with many over nighters and have only heard complaints about the sites not being clearly numbered. Yes it is and old family campground that has no wifi , restrooms or playground. Very convent to town and you really don't need a car to go. The place is maintained. You might need a extra water hose and sewer extension at some sites. It is right on US 17 and the traffic can be noisy at times. Would highly recommend to fully contained campers who don't need a playground or other babysitting activities A very SAFE place to stay. Nice, small and quit. Close to every thing that we wanted to do. Lots of trees blocked the sun and noise from US 17. Will be staying there my next trip to Savannah. Thanks for offering a place like this to stay. Pros: close to Savannah Cons: no restrooms, pick nick tables, laundry, playground, etc. must go to the office to use wifi. No tv cable. Office personnel were very rude in general. Didn't care to hear their predjudices. I could never recommend spending time or money there. Left after one night. We stopped here for one night to visit the town and found the place to be nice and small. Its an old campground and not real big. It does not have any restrooms. But does have full hook ups. Its also nice and close to town but did not notice a lot of noise. The folks that run it where really nice and helped us with directions to town. Although we only stayed one night I would give them a higher facility rating if they at least had a swing set for the kids to play on. Otherwise its a nice little park and we would return.